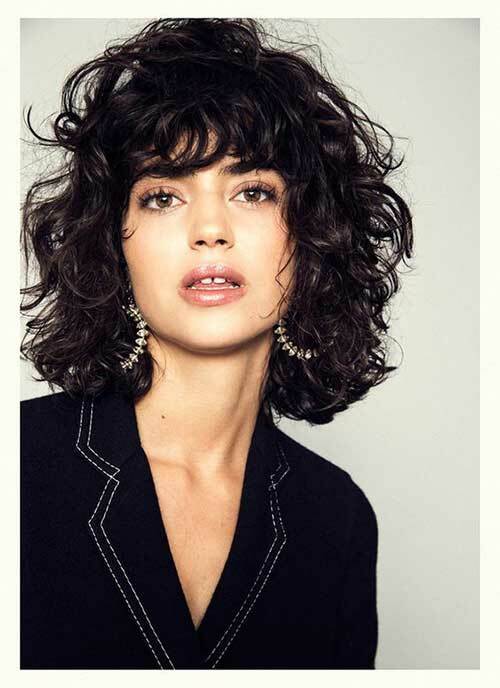 Curly hairdos are eye-catching, appealing and effortlessly stylish… But do you know which short hairstyles would look great with a curly hair? We answer this question in this post. 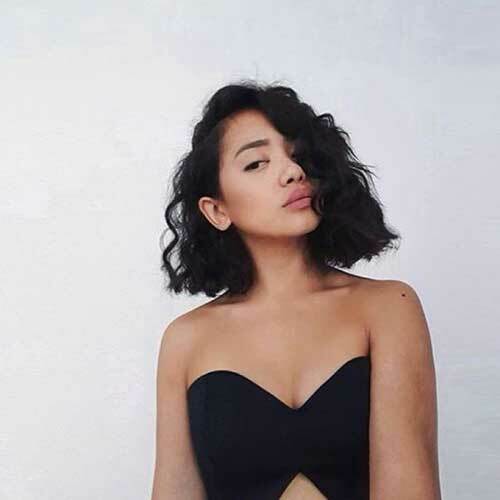 Simply layered mid length bob hairstyle is perfect for curly and wavy hair, you can easily create messy styles too. 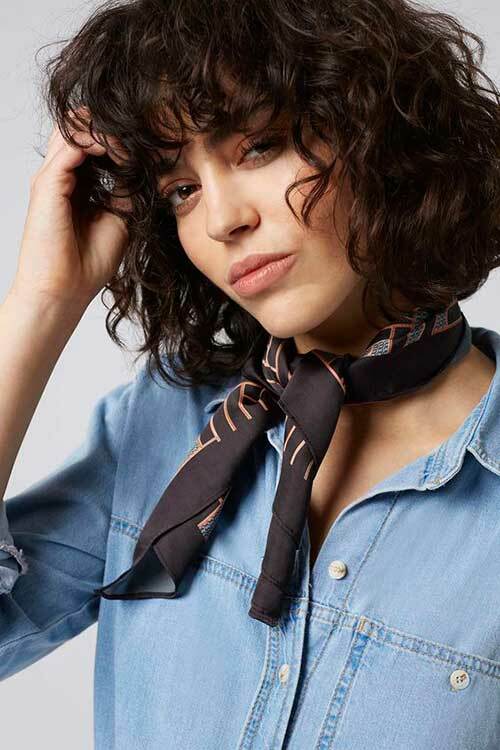 Some people say that you can’t have bangs with curly hair but it is totally wrong, as you can see bangs on curly bob would look definitely stylish and cute. 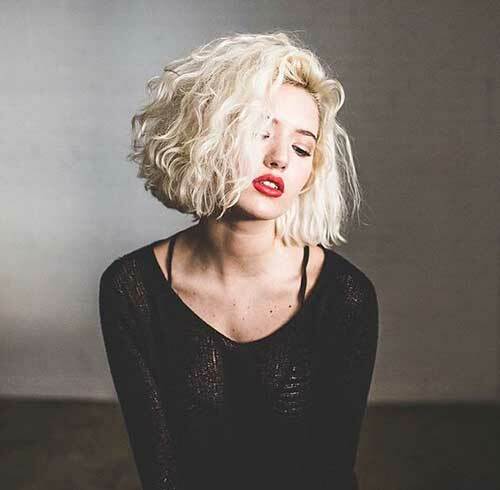 Thick and curly hair may look a little bit hard to work but bob hairstyles with layering would look definitely gorgeous. If you have naturally curly and dark hair this layered bob hair would be so inspiring that you can copy it. Afro hairstyle is a unique hairstyle for black women, this one below looks definitely gorgeous with curls and highlights. Here is a messy and naturally curly long bob hairstyle for young women who like fresh and chic styles. White colored short bob styled into loose and soft curls to emphasize her facial features. 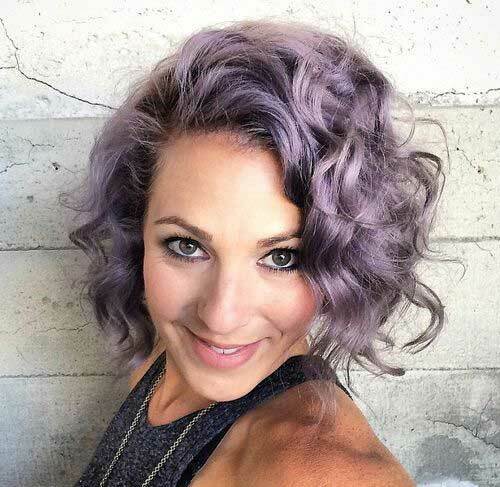 Brown roots, pastel purple hair color will emphasize the color of your eyes and the shape of your curls. If you have light skin tone with dark and thick hair also dark eye color, this bob hairstyle can be a really nice idea. 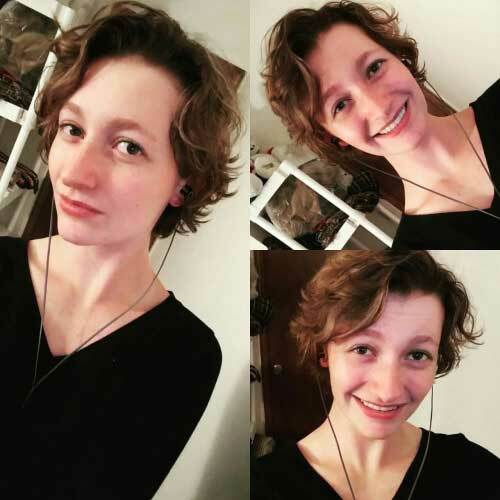 How about pixie haircut? 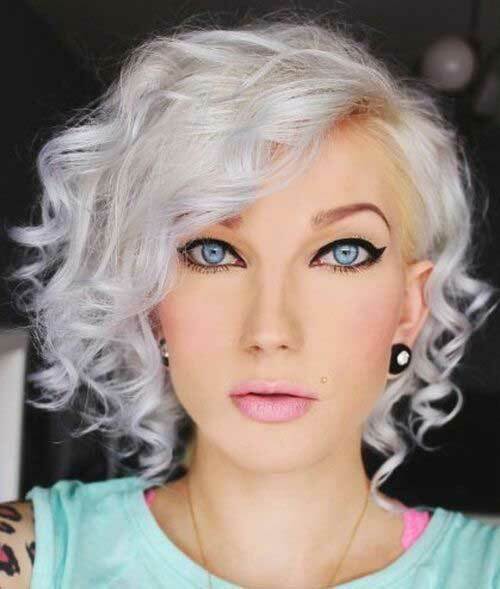 Pixie would be a good idea for curly haired girls who want to save some time while styling their hair. 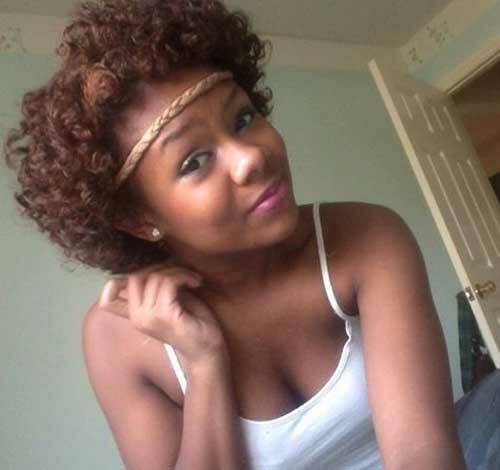 Here is another curly bob hairstyle with thick bangs that frame her face nicely. 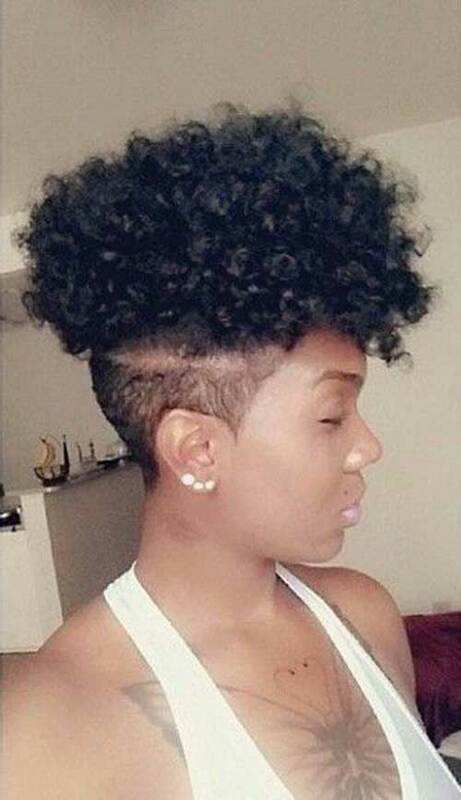 Short and mini afro hairstyle is unique and cute hairstyle idea for black women who love their natural hair texture. 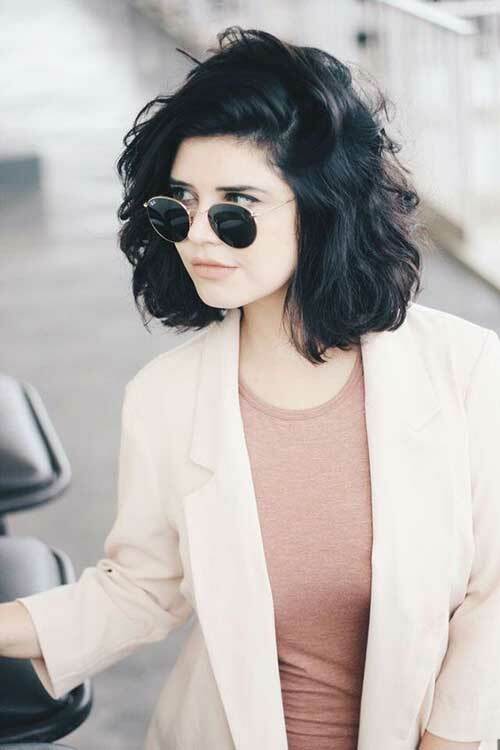 Undercut style and shaved short hairstyles are also help you to style your thick hair much more easily so it is one of the most preffered hairstyles. Pixie bob hairstyles are one of the most popular hairstyles for young girls, it is a cute yet chic idea. At the end of this gallery, we will show you this curly and layered bob hairstyle with long and messy bangs.